Last year, I joined a new union for teachers with leadership responsibilities, NAHT Edge. I quickly applied to be on their Advisory Council: a group of members who meet regularly to discuss the direction the union should be taking. Unbeknown to those of us who joined the council, such a position would earn us an invite to represent middle leaders among the head teachers at the annual NAHT Conference. This year's conference was in Telford on the early May bank holiday weekend and I've very recently returned full of positivity for the future of our profession. What has caused such a surge in positive thinking at such a difficult time in education? During the weekend, there were various different events and opportunities for head teachers and us as the Edge advisory council. I will outline these below with the thoughts I took away from each one. The whole weekend had an aura of solution-driven thinking. There has been so much moaning and whining in education recently that it's a surprise anyone is feeling positive. 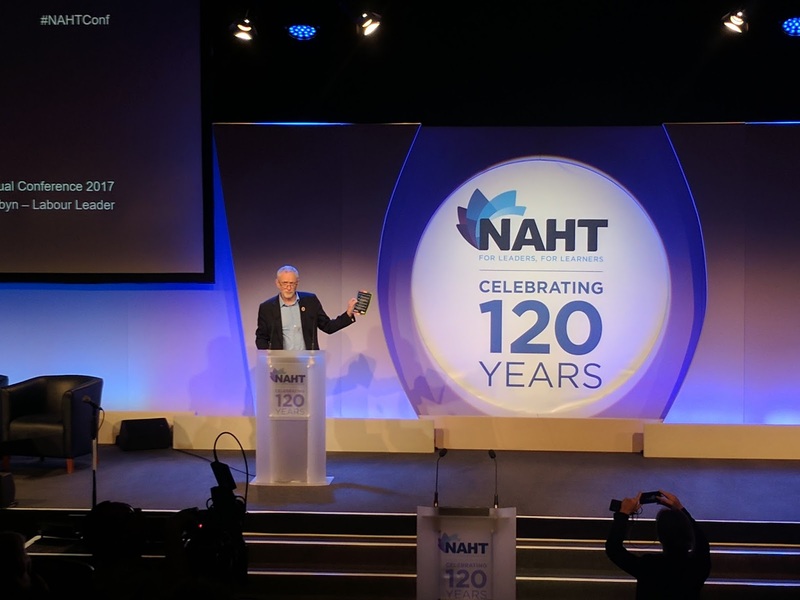 Rather than complaining about what is wrong, these 400+ head teachers and the NAHT staff debated, recommended and discussed some clear solutions to the current biggest issues. 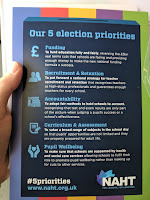 NAHT have set out their 5 priorities for the coming General Election which you can see in the image (click to enlarge). Personally, I feel they are spot on and cover exactly what politicians and educators should be discussing. It is clear that head teachers care about children and head teachers care about teachers. 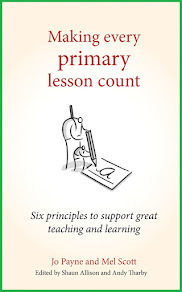 It is also clear that head teachers are potentially more angry than teachers about the state of assessment and accountability in primary schools. The NAHT policy team were keen to get the views of head teachers to inform their next steps in the fight to improve accountability in schools. When asked to vote on whether best fit judgement should be used for the year 2017-18 for writing even though it is late notice, every hand went up together in agreement that it should. Each point of the assessment consultation was reviewed and discussed in detail. The union has already seen victories in the area of primary assessment and this meeting will have solidified their next agenda. 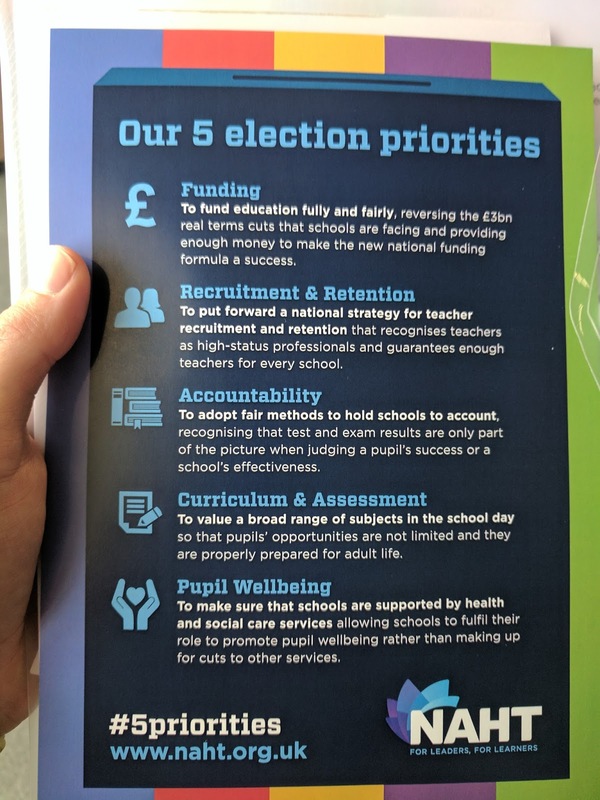 One head teacher commented after Alison's speech that it was far more inspiring than Justine Greening's would have been, had she honoured her commitment to turn up. Alison spoke with passion and determination about the Chartered College of Teaching, of which she is CEO. 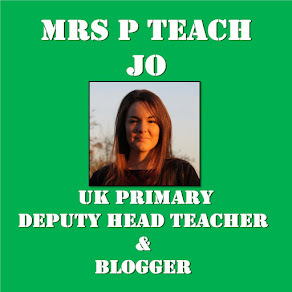 Her vision is ambitious to say the least but if it works, as she suggested, the countries of the world will look to us for best practice in education rather than the UK looking elsewhere. 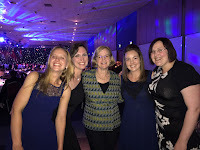 She made us laugh and cry, and she left me with no doubt of her passion to making the CCT work. It was also a pleasure to meet her before her speech, having followed her on Twitter for ages. During our first face-to-face meeting (normally we use the power of technology! ), we discussed many of the issues which had been mentioned during the conference. One issue we spent a lot of time discussing was the proposal of a four and a half day week. I arrived at the meeting thinking it was a possibility but by the time we'd finished, it was clear that it would be no more than making a point and inconveniencing parents - much like a strike day. It wouldn't actually save money in the long run and could endanger the lives of children. We knew ahead of this meeting that we would be part of a select group who would be allowed to discuss current issues with Amanda Spielman, HMCI at OfSTED. We discussed the questions we would like to ask and what we were hoping from that meeting. I am sure you've seen the news coverage of Jeremy Corbyn's speech at the conference. If not, you can watch some of it here. There are simply two comments I'd like to make about this. Firstly, if he can get the opportunity to do what he plans to do, our education system will improve for pupils and for teachers. Secondly, I believe him. 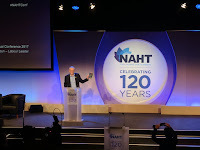 Russell has worked tirelessly for the NAHT over 7 years and this was his final conference as he steps down from his role at the end of the school year. Russell recapped, with humour and warmth, the many victories in education during his time as General Secretary. He promised to hide away in a cave planning the demise of the fronted adverbial after he leaves NAHT. Like Jeremy Corbyn - his support act, he joked! - he got a well-deserved standing ovation. So, after an amazing weekend, I am inspired for the next term and beyond to ensure that we continue to do the best for our children while reading, responding to and fighting for educational policies. The team at NAHT were so welcoming to the Edge Advisory Council and it was a pleasure to spend the weekend together mixing among school leaders who are all passionate to make lasting changes which will improve the life chances of the children in our country. For the first time in a long time, I have hope for our profession. And, as Barack Obama says about hope, we must "keep reaching, keep working and keep fighting."